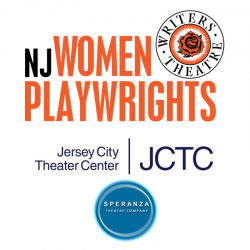 Speranza presents the 2019 NJ Women Playwrights Project in collaboration with Writers Theatre of NJ and Jersey City Theatre Center. In honor of Women’s History Month, there will be 4 original plays presented on Wednesdays throughout March. Each reading begins at 7:30 pm, followed by a post-reading discussion. All readings are free and open to the public. association with The Jersey City Theatre Center and Speranza Theatre Company as part of Women’s History Month. she is going to replace. Sofia doesn’t know what to think after her younger sister Ana runs away from home and declares a sudden interest in her indigenous roots. The sisters take shelter in a New England inn where they clash over whether or not to search for their mother, and they receive unexpected guidance from their room’s former occupants. Both soon realize that inside Room 30 the distance of time isn’t as vast as it seems. The harrowing story of courage and commitment by one family embroiled in the political turmoil of 1950s Cuba, torn between idealism and survival. In less than 24 hours, this family is forced to leave their home and their country and everything they owned. This play is one of three finalists in the 2018 Women Playwrights Competition sponsored by the Centenary Stage Company.